When Hurricane Irene slammed into the East Coast in August 2011, extensive flooding occurred in several states including Vermont and Connecticut. 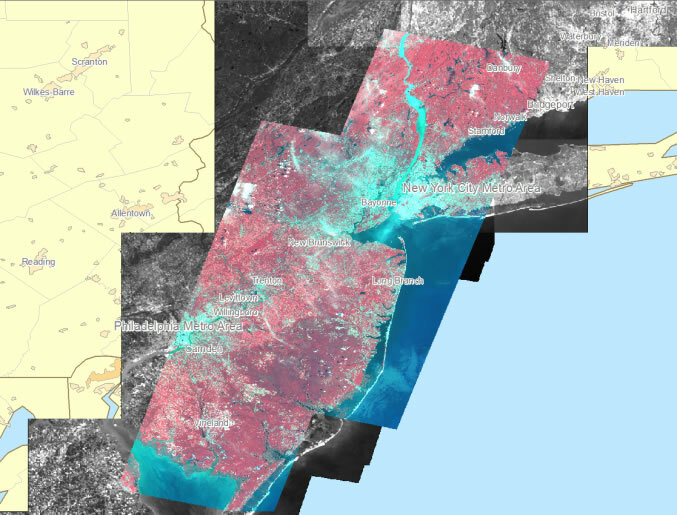 Government organizations, such as the Federal Emergency Management Agency (FEMA), swung into gear, requesting satellite images of the affected land, property, and infrastructure to plan a coordinated response to the flooding and organize relief operations. The duty of processing raw satellite imagery of Hurricane Irene's aftermath fell to the South Carolina Air National Guard (SCANG). 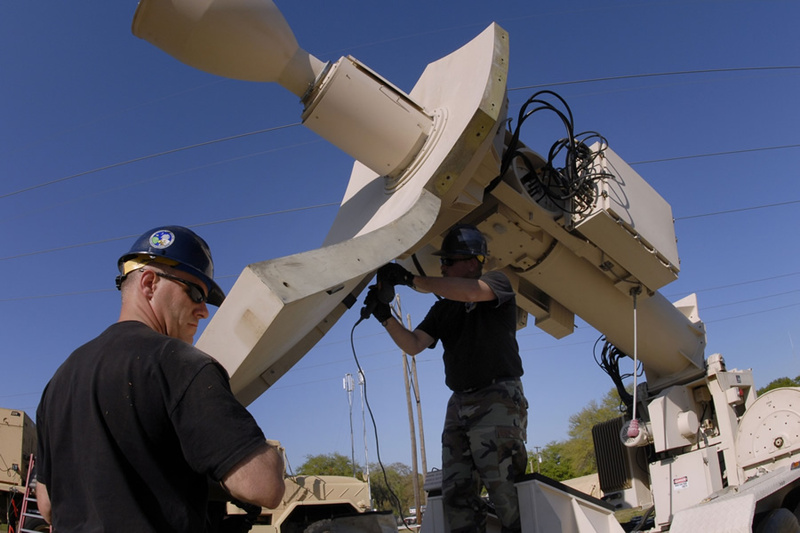 SCANG participates in a program called Eagle Vision IV, which consists of five imagery receiving stations capable of being deployed wherever and whenever needed to serve imagery to responders during a crisis. That imagery is relayed to receiving stations in individual units—tiles—that must be stitched together (mosaicked) to create actionable maps of large areas. 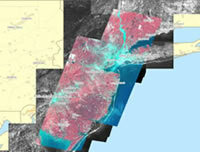 To improve its imagery delivery service and transmit the images to FEMA and other agencies as soon as possible, Eagle Vision integrated an imagery extension into its existing ArcGIS workflow, automating the mosaicking of specific satellite imagery containing fresh imagery of the affected areas. Automating this process sped up the creation and delivery of the images during Hurricane Irene by several hours. These images show flooding along the Connecticut River after Hurricane Irene. They were mosaicked and exported as a TIFF file in less than 20 minutes using GeoImaging Tools for ArcGIS. © CNES (2010) Distribution Astrium Services/Spot Image S.A., France. All rights reserved. "One of our missions is to downlink and produce satellite imagery of disaster-affected areas for first responders," said Master Sgt. Troy Wilkerson, SCANG, who is also the system administrator for the Eagle Vision IV program. "That requires turning raw satellite imagery into a useful basemap within the shortest amount of time." The amount of data that needs processing can be enormous in a large-scale event such as a wildfire or flood. More automated processes are then required to get the imagery out faster. Eagle Vision receives raw remote-sensing data from satellites and processes it for location awareness during global emergencies such as tsunamis, earthquakes, and hurricanes. Eagle Vision's receiving stations can be assembled quickly and respond to emergencies anywhere in the world. The program was instrumental in providing imagery support after the devastating earthquakes in Haiti in 2010 and Japan in 2011. Eagle Vision's systems can access imagery from up to nine satellites that photograph the earth by imaging adjacent areas on the ground with stereo cameras. The slight difference in perspective creates a parallax effect, or misalignment, between the tiles that must be rectified. The process typically took hours, as Eagle Vision workers generate ground control, tie points, and diagnostic points so that everything lined up in the composite image. Wilkerson researched solutions for automating the image mosaicking process. Some solutions would have done almost exactly what was required but had a downside: they could not be integrated into Eagle Vision's ArcGIS workflow. Without that integration, the time savings that came from automated processing would be canceled out as incompatibility issues arose. "Use of multiple packages to process the images wouldn't have been feasible," Wilkerson said. He looked into various extensions that would fit seamlessly into ArcGIS and automate Eagle Vision's image processing workflow. GeoImaging Tools for ArcGIS by PCI Geomatics stood out as a solution that could be plugged into Eagle Vision's environment. Wilkerson and his staff tested the software using the fully functional trial version. "To our benefit, the trial software came with a SPOT-4 dataset over British Columbia, which allowed us to experiment, make basemaps of areas at varying scales, and get familiar with the software," Wilkerson said. "In a very short time, we were producing images of Canada that aligned with our existing ArcGIS datasets, saving us hours of manually stitching tiles." Automated mosaicking shaved the hours-long process down to minutes. Eagle Vision uploads the aerial maps to a distribution house where agencies such as FEMA and the US Department of Defense can access them. Once responders and relief workers have a comprehensive view of the destruction, they can optimize their routes to rush aid to the worst-hit areas. Eagle Vision first tested GeoImaging Tools for large-scale disaster use during Irene's landfall. "The challenge with Hurricane Irene was that its potential paths covered such a huge area, so there was a lot of imagery to prepare," said Wilkerson. "The storm hit North Carolina and then went all the way up through Vermont and Maine, but we had to process more imagery in case it moved into other areas." During Hurricane Irene, some of the most damaged areas hadn't been included in weather service predictions of areas likely to be hardest hit. For example, some reports predicted heavy flooding in Manhattan, which did not occur, while other areas, such as Vermont, endured heavy flooding. Because of the ease of processing the imagery with GeoImaging Tools, Eagle Vision could upload imagery of places not included in predictive damage reports. "We don't precisely know which areas will be impacted, so it's better to have the imagery just in case," Wilkerson said. "The imagery gives responders and relief workers a comprehensive report of where the damage is so they can plan faster." As a result, by the time they arrived in Vermont, emergency response personnel responding to Hurricane Irene could already access the damage maps they needed. GeoImaging Tools for ArcGIS helped Eagle Vision better leverage its existing imagery libraries and extract more value from them. Today, Wilkerson and Eagle Vision continue to make full use of the extension, creating faster workflows for their stacks of imagery. 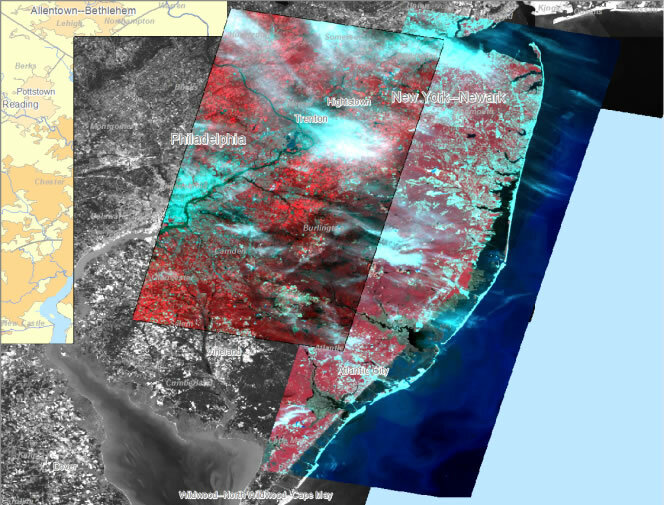 "The time that GeoImaging Tools saved us has given us the ability to provide imagery to a multitude of authorities responding to natural disasters," Wilkerson said. "We can now provide imagery to customers hours earlier than we could before using these tools."